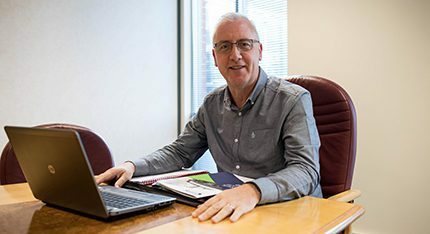 Earlier this month Guy Pulham started his new role as chief executive officer (CEO) of The Federation of Petroleum Suppliers (FPS). “I’ve been so busy trying to get up to speed with everything and meeting everyone that it has been a bit of a whirlwind,” said Guy whose new role commenced on 5th February. “Within the next 100 days, I want to develop a strategy for the FPS’s longer-term, but I want input from staff, FPS Council and members to create that strategy,” says Guy. “As the collective voice for the industry, the FPS is a connecting bridge between the members and government. The FPS act as guardians of standards for the oil distribution industry ensuring best practice and has a voice when it matters. “In terms of handling the changing and somewhat challenging times for our industry, I believe it is imperative that we remain positive and look for the opportunities as markets change rather than concentrate on the negatives. I want to talk to members, to understand their business needs and concerns, to ensure we provide the right initiatives and support for them. Similarly, I want to communicate effectively with Government to have our say on legislation, influencing and responding to legislature. Looking forward to FPS EXPO 2018, Guy is excited about ‘the opportunity this presents to speak with members, suppliers and industry organisations about all that’s new in the sector and how best to protect and propel the heating oil industry in the coming years. Guy, who has almost 30 years’ experience of the upstream and downstream oil industry, is keen to encourage those in the industry to drop him a line with respect to any issues they want to raise.